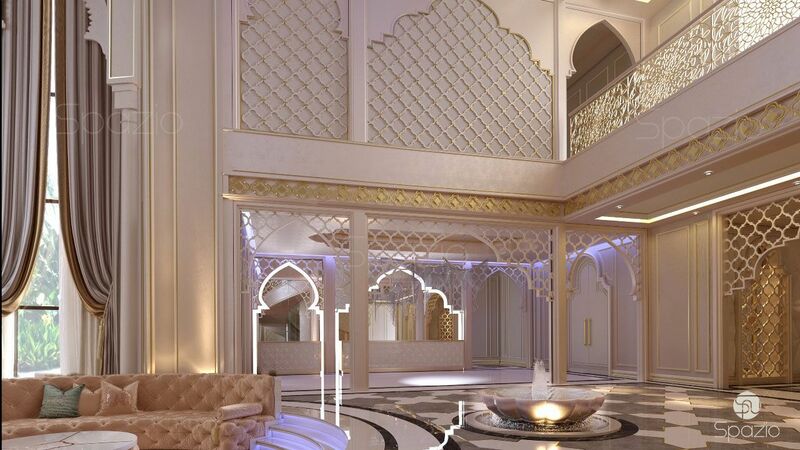 Spazio is one of the leading luxury interior design companies in Dubai. 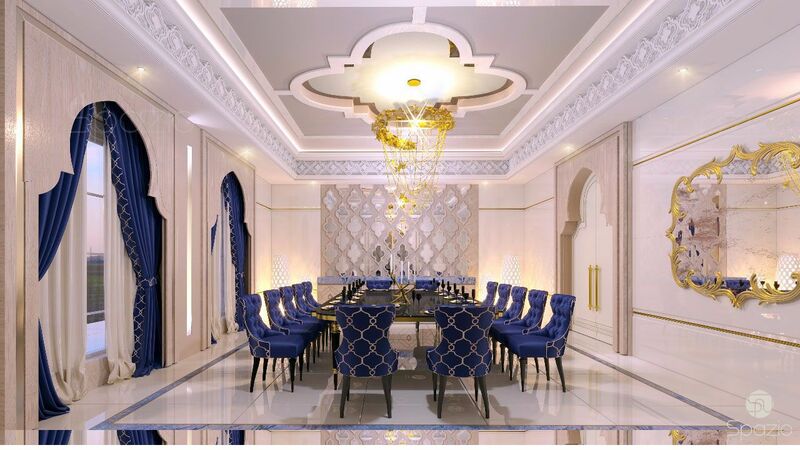 Luxurious interior design style is the main direction of our company. 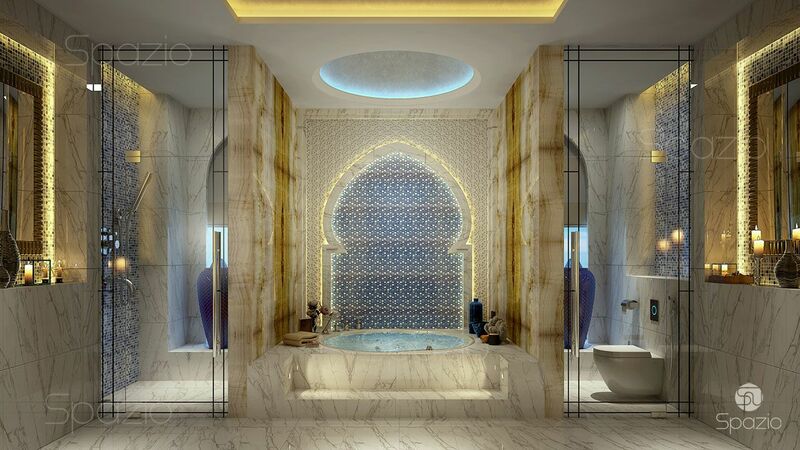 The portfolio includes projects of high-end Arabic, Modern, American, Mediterranean and other styles. 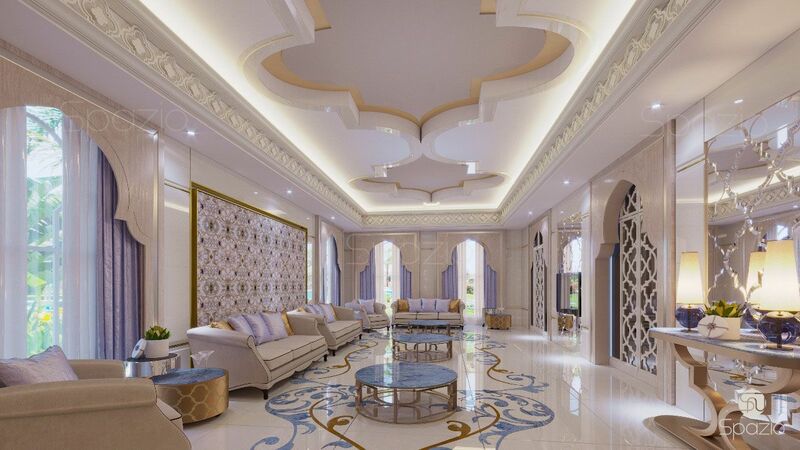 On this page you can see the luxury interior design of Dubai house. We realized that luxury is not an interior style, it's a lifestyle. Everything should match this lifestyle: layout, decor, materials, light. We combine different new trends of 2019 year to make ageless design for your home. There are majestic arches and a delicate pattern. The height is balanced by the use of columns and a sitting zone, rounded in shape. The space in the middle is crowned by a small fountain. Large space allows you to think over various non-standard. Here we have developed a great pattern on the ceiling to create an impressive effect. 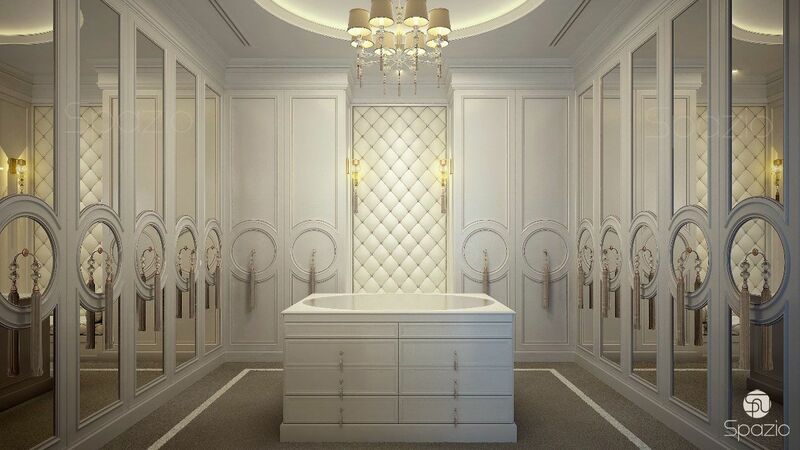 Look at the mirrors, furniture and decor. In all elements, repeats a similar pattern. Many objects of furniture and decor are customized. These are unique elements that exist in one copy all over the world. 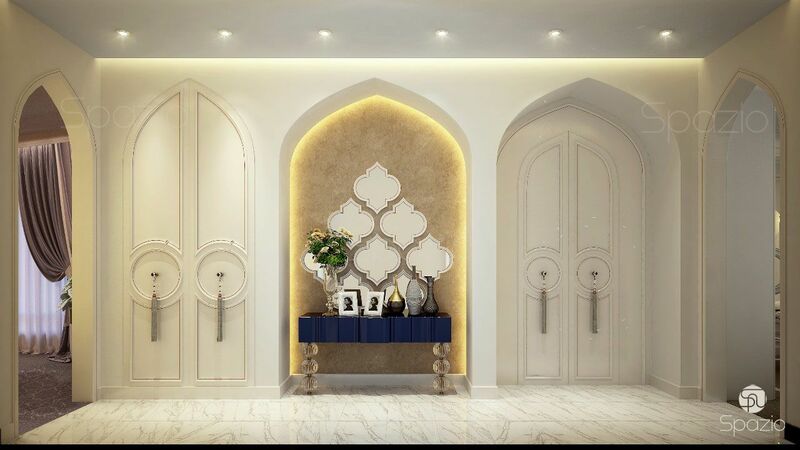 Our interior design company is ready to make models of unique furniture and organize the making of it. We work with local craftsmen and factories. 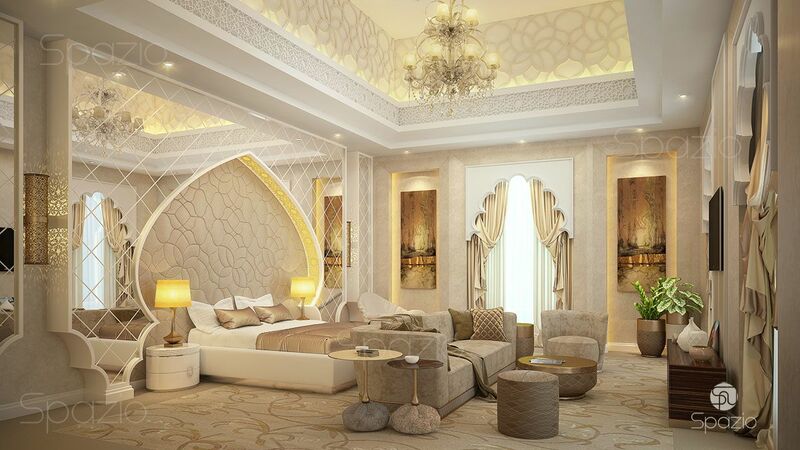 The luxury master bedroom design is an abundance of materials, fabrics, coatings and their combinations. Each element is designed in detail. The ceiling is made in several levels. There is a combination of several patterns. Particular attention to the doorway and decoration. 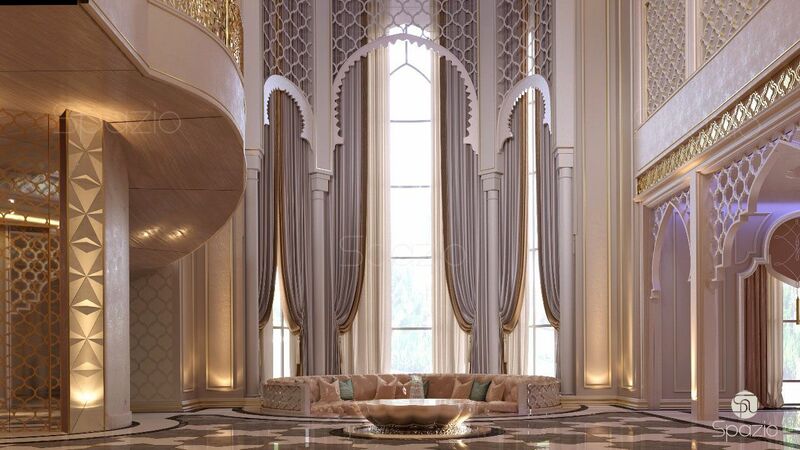 To order a luxury interior design, just call us or email us through the form on the site below. 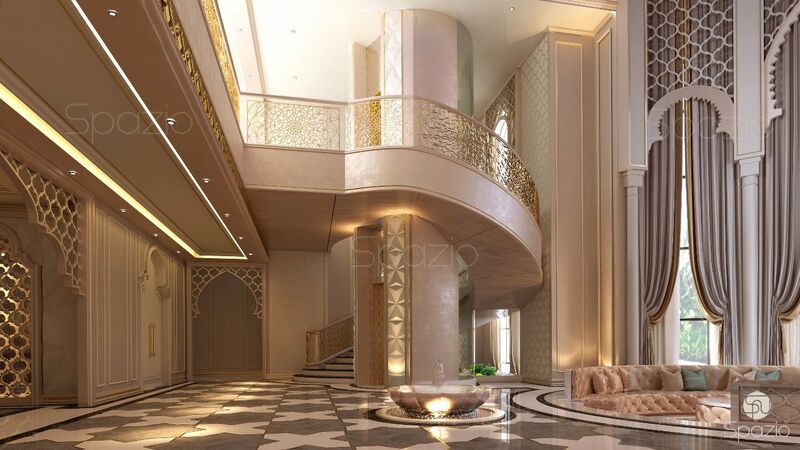 Spazio is located in Dubai, we create projects for clients from all the cities of the UAE and other countries.